We get a lot of enquiries for Web Design Services on a daily basis. While going over them we realized a very interesting trend. A lot of customers who inquire about web design services start out by asking about the cost of our services and start comparing with the price quoted by others to decide who is the cheapest service service provider in the market. That for some people this is the sole deciding criteria for choosing a Web Designer is a very disturbing sign indeed. 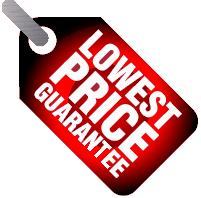 We understand a lot of clients are price conscious and they might want a Web Design for low cost. A lot of time clients hire freelancers who might be fresh out of doing a course and might be willing to do a website design at a very low cost. It might seem like a good deal but please make sure you understand the dangers. Low Cost web design poses some risk. Please understand these before you choose a designer. 1) Not following proper standards can affect the ranking of your wesbite. Does your web designer follow latest Web Standards ? 2) Basic steps during the design process can help your website rank higher. Does your Web Designer understand SEO. 3) Web design is a mix of art and science. It is about making your website have a clear purpose fir the visitor. Make sure you and your designer understand the purpose of your website. 4) Making CSS based website is far better than making a Table based website. Please ensure that your designer is follows this. A lot of designers are still using Table based methods to deliver websites fast and are possibly compromising the quality of websites for their clients. Since both end up delivering the websites that look visually same it is becomes the duty of the designer to educate their clients. 5) Avoid using FLASH in your website. You might think it looks good but there are issues with using flash in your website. Please read here for detailed answer – Why using flash is bad for websites ?